The raspberry Pi is only working with a fake hw clock for counting seconds and is relying on an internet connection to update the time from time to time for not having too many differences between the real time and the local time. To get a more precise or stable clock, especially when there is not always internet available, install a Realtime Clock (RTC) on the pi. The RTC, as it's described here, is an I²C connected RTC (DS3231/DS1307), powered by a small battery when the Pi is turned off. Here I²C is up and running and some device is found at address 0x68, which is in this case the RTC. Every second that address is read, the value changes as the first data-address is representing the seconds from the RTC. Remind: This only works, if the device is not already in use by another tool/script/system. sudo bash -c "echo 'ds1307 0x68' > /sys/class/i2c-adapter/i2c-1/new_device"
If this was successfully done, the RTC is installed and can be used as hw clock. If Pi was powerless, then freshly rebooted and RTC is setup as new I²C device, it usually does not have any useful time set. Fastest way to set date and time is having the Pi connected to the web, grab current time from web and sync it to the RTC. 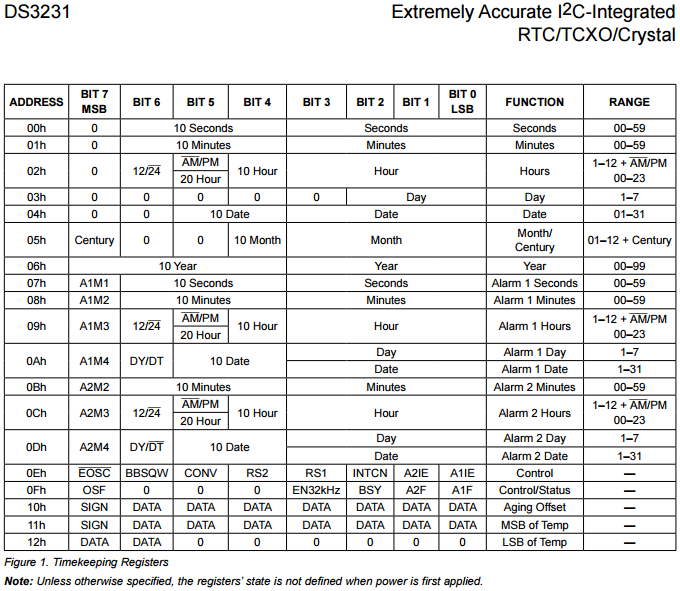 echo "Activate and initiate RTC-HW-clock..."
echo "Adding RTC to list of new I²C devices..."